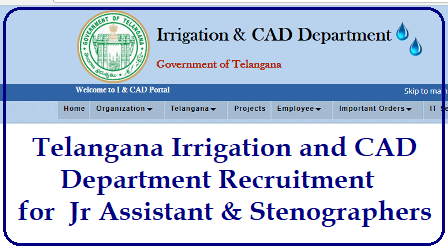 Finally The Finance Department of Telangana has approved a notice to fill up 105 vacancies of Junior Assistant and Junior Stenographers in the Department of Water. The recruitment process for candidates will be done through Telangana State Public Service Commission. So, candidates those are eligible and have interest to secure govt job may apply. Visit official site tspsc.gov.in or www.irrigation.telangana.gov.in to grab more information. No. of vacancies to be filled in Water Department is 105. Candidates may apply through online mode via https://tspsc.gov.in for TS Water Department recruitment. Start and end dates of application process will be updated soon.